Is gastric sleeve surgery safe? The laparoscopic sleeve gastrectomy, the surgery offered at New You Sleeve, is the safest weight lost surgery in existence. 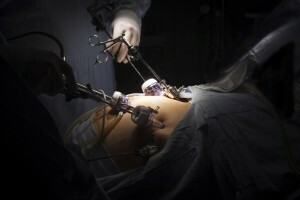 According to the American Society for Metabolic and Bariatric Surgery (ASMBS), the laparoscopic sleeve gastrectomy, a surgical procedure of increasing popularity in which the size of the stomach is reduced by 85 percent, has been proven in studies from many institutions to be as safe or safer than the more formerly used gastric banding or gastric bypass surgeries. With the sleeve surgery, the perioperative mortality rate was only 0.08%, while with the gastric bypass surgery it was 0.14% and 0.03% for gastric banding. These mortality rates are lower than those associated with hip replacement surgery as well as gallbladder removal. Also, the percentage of procedures requiring reoperation due to a complication was 15.3 percent for the gastric band, 7.7 percent for gastric bypass and only 1.5 percent for the sleeve gastrectomy. The ASMBS also states that the rate for one of the surgery’s most serious complications, a gastrointestinal leak, was 0.3% with the sleeve surgery, compared to 0.4% with gastric bypass. The risk of any major complication is only 4% (major complications include a gastrointestinal leak, infection at the site of the incision, blood clot, anemia, or dysphagia). Thus, the vast majority of patients who undergo a laparoscopic sleeve gastrectomy gain the results they want without any issues or complications. “Sleeve gastrectomy has proven itself to be a safe and effective option in patients with morbid obesity and this procedure should be considered a primary procedure for weight loss and obesity-related disease improvement and resolution,” said Robin Blackstone, MD, President ASMBS. Immediately after the surgery, some belly pain is typically experienced because the very small incisions from surgery become tender and sore until healed. Pain medication may be taken for the first week or so though to help with the surgical pain. After a week or so, the incisional pain subsides as the body heals. However, due to vulnerability and tenderness, patients rest and stay home from work for that first week and maybe more depending on their individual recovery. Since the surgery is laparoscopic, the wounds are much smaller than they would be in an open surgery, so the recover time is much faster. This means that four weeks or so after the surgery, patients return to their normal lives with no pain or prolonged symptoms. We do not have a facility in Atlanta and provide all of our services from Las Vegas. We have performed well over 10,000 weight loss surgeries and many thousands of those have been the gastric sleeve. Our results are incredible and it is by far the best weight loss surgery being performed today. We help organize all aspects of your surgery from pre-op preparation to travel to recovery and support.